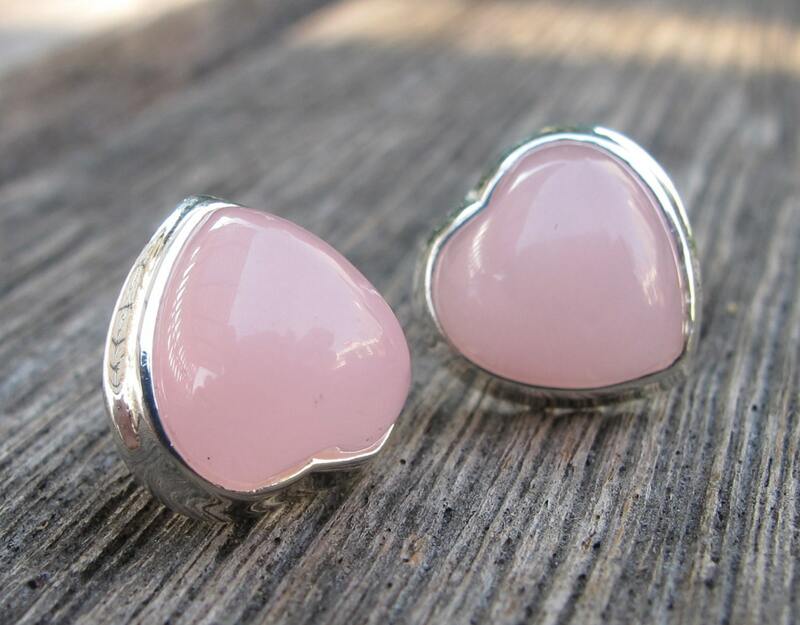 A romantic pair of Sterling Silver Heart Shaped Stud Earrings in Pink Chalcedony. Wrapped in a box ready for gift giving. 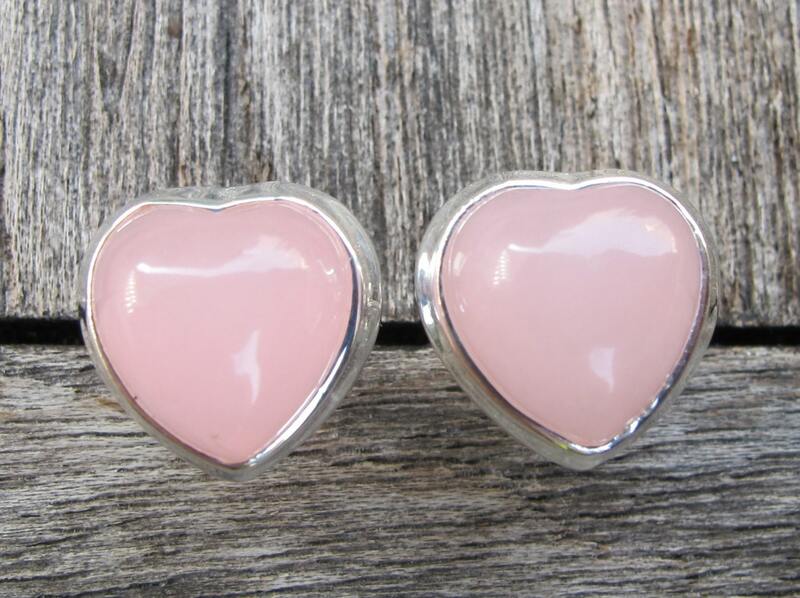 (e-stud-30) These lovelies measure 12mm.